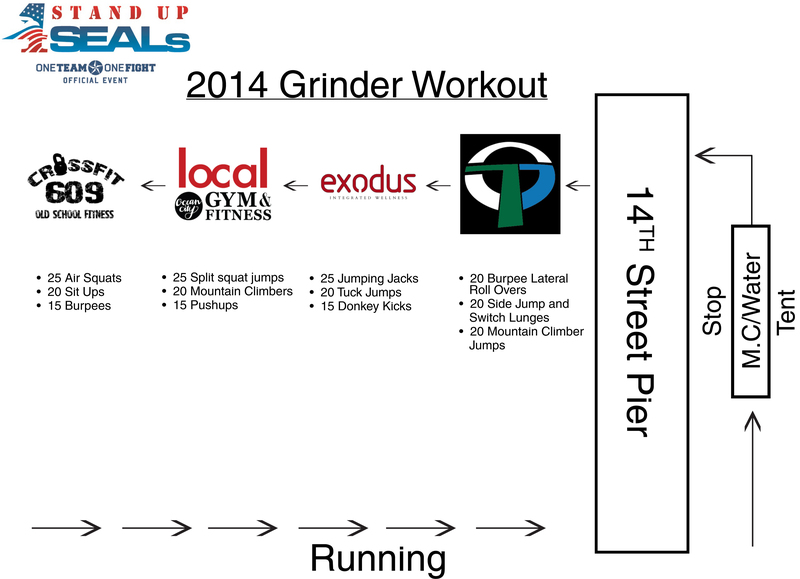 Sneak Peak: 2014 StandUP4SEALs Grinder Workout!!! Time to get in the gym and start preparing for this years Grinder Work Out!!! Here’s a sneak peak ! StandUP4SEALs Presents our 2014 Master of Ceremonies !!! Thank You Christi Insurance Group !!! StandUP4SEALs Award Board – Thank You Stephen Scolari & OC Paddleboard !!! Memorial Beach Challenge is held each year on the beach in Ocean City, New Jersey at the Ocean City Music Pier. All proceeds from the 2018 Memorial Beach Challenge event supports The 31Heroes Project—an organization dedicated to serving service members, veterans, and their families. This is a rain or shine event. In the case of extreme or seriously inclement weather, the events may be called off. The events will not be rescheduled and all funds will be donated to the benefiting organizations.